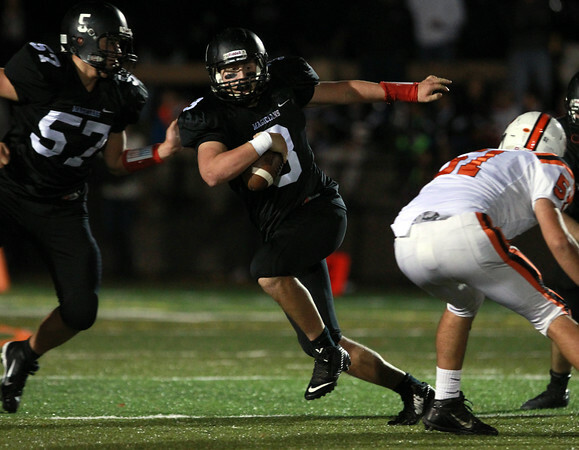 Marblehead senior captain Spencer Craig (3) scrambles out of the pocket and upfield against Beverly on Friday evening. DAVID LE/Staff photo. 10/10/14.